The Poipet border is known for scams, but they are easy to avoid! 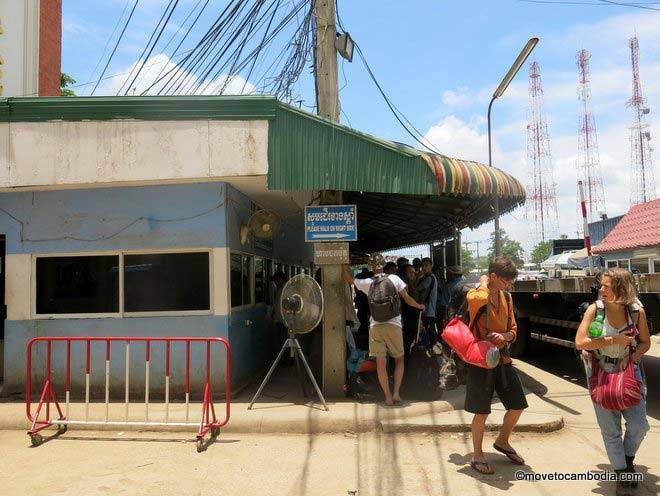 Before you arrive at the border, your bus company may stop in Aranyaprathet and suggest that you allow them to handle your visa application for an added fee of between $5 and $20. They may make it seem like you must hand over your passport and let them process it for you. This is not true. They will also tell you that it will save time. This is also not true. They will usually tell you the charge in Thai baht, or half in baht, half in US dollars, to make the charges more confusing. You may also be taken to the Cambodian Embassy in Aranyaprathet to get a visa before you cross the border. The cost in baht will be 1,400 to 1,800, which is far more than the cost at the border of $30 (around 980 baht). Know that these are optional and completely unnecessary services. 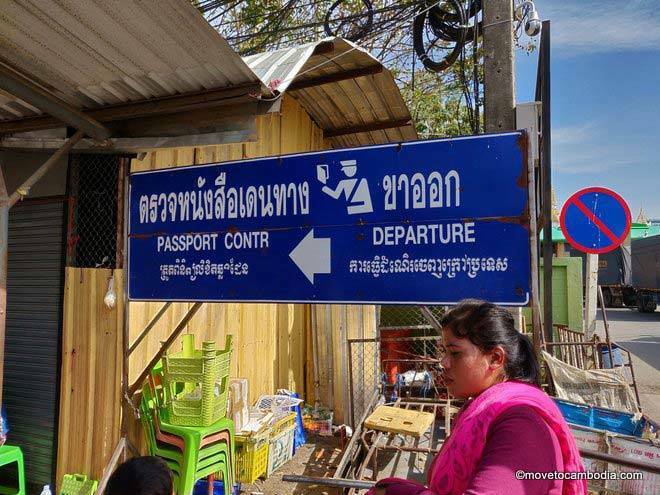 Get your Cambodia visa yourself at the border, not in Thailand. 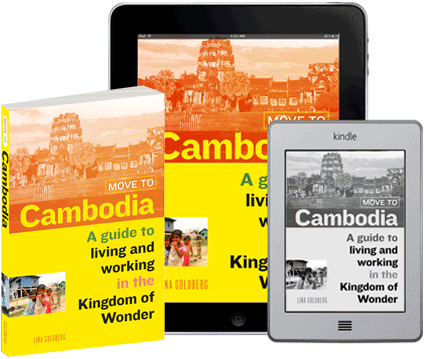 The cost for a tourist visa to Cambodia is $30. When you go to get your visa, you may be told there’s a 100 baht (about $3) processing fee. There is no processing fee; this is just a bribe, or “tea money,” and you do not need to pay it. Politely insist that you only have $30 on you. (It’s best to come with exact change in the correct currency, as this strengthens your hand considerably.) You may be taken out of line and made to wait 5 or 10 minutes, but rejoin the line and ask again, and eventually they will process your visa for no additional fees. If you arrive without a passport photo for your visa, you will be told that you need to pay an additional $5 to cover the cost of them scanning your passport. The “official unofficial” cost for this service is $2. Again, have exact change and offer $2. If you are told you must additionally pay an “exit fee,” this is a scam. There is no exit fee for Cambodia or Thailand. Just keep walking and avoid anyone at the Poipet border who suggests you change money, offers visa assistance, or says they can help. After you get your Cambodia visa you will need to get stamped in to Cambodia. You may be offered an express stamping service for 200 Thai baht to save you the hassle of waiting in line. The line is rarely more than 20 minutes, even if they tell you it will be an hour or more. Express stamping is not an official service and is just another bribe. Don’t pay it. Do not change money with random people who approach you, even if they are wearing a uniform. The exchange rate you will get is extortionate. You do not need to change your Thai baht while at the border; you can get very good rates once you arrive in Siem Reap. And you do not need to buy Cambodian riel before you enter the country. The US dollar is the de facto currency in Cambodia, and in fact you cannot even pay for your Cambodia visa with Cambodian riel! Before you go, it’s also a good idea to know what the exchange rate is between Thai baht, Cambodian riel, and your home currency. This will help you avoid accidentally agreeing to pay $8 for a mango, for example. Despite the name, the Poipet international bus terminal is not where you want to go to find a bus. One you arrive in Poipet, you’ll be immediately persuaded to get onto a free shuttle that will take you to the ‘Poipet Tourist Passenger International Terminal,’ a bus terminal 9 kilometers outside of town that exists for the sole purpose of ripping tourists off. Those who end up at the terminal will have limited options of overpriced buses and shared taxis, and will usually end up waiting for a very long time for a bus or taxi to fill up with other unsuspecting passengers before they are allowed to leave. If you are offered a free shuttle to the bus terminal, politely decline and walk towards the Poipet New Market, which is about 15 minutes from the border (you can also take a moto for less than $1). Go straight down National Road 5, and turn left after the Canadia Bank. Buses leave from the market, but you may not even make it that far because many bus company offices are along the way. 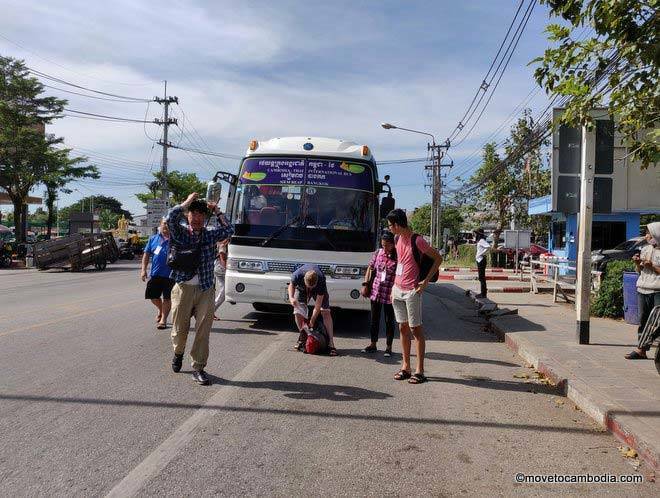 You can book a ticket in advance, if you’re worried, or even better do the entire trip from Thailand on a direct bus. The Poipet police shake the taxi drivers down for $10 every time they leave Poipet. Middlemen also add fees on top of the actual fare. What sometimes happens is you’ll agree on a price, pay the full amount up front, and then five minutes later be asked for another $10 to cover the police shakedown. The further you walk from the border to catch a taxi, the less likely this is to happen. Don’t pay in advance and refuse to pay anything extra above what has been agreed upon. You can also book an SUV taxi in advance, in which case you won’t need to pay anything extra. This is not a scam, per se, but be aware that your bus driver will encourage you to buy things at various stops along the way because he gets a cut. Know that you are allowed to use the toilet at any of the stops (bring your own paper!) and are not obligated to purchase anything. 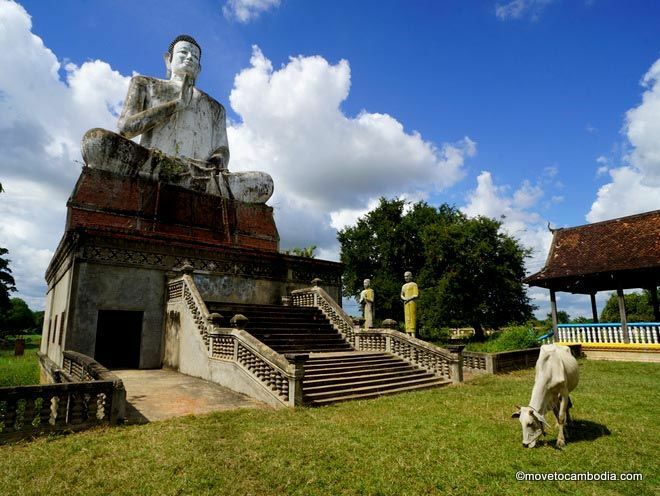 This entry was posted in Expat Life, Transportation and tagged Poipet, Cambodia scams, Aranyaprathet to Poipet, Poipet border. Bookmark the permalink. Sorry, EB rather than ED. The Cabodian business visa.